Posted July 2, 2014 by Julia Kidwell . Before this update was launched, many website owners would cheat their way to the first spot in Google by optimizing their website with low-quality content. 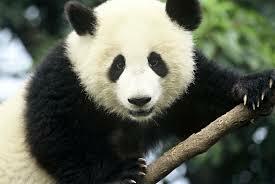 Panda was first launched in February of 2011 to put high-quality sites higher in Google search results, and lower the ranking of those that were stealing information from other sites to rank well. This tells us that Google is looking for websites with authentic, original content without an excessive amount of ads or redundant information. Linking your website to other sites is important because it shows Google that other websites trust you, which make you a reliable source of information (Google likes reliable!). 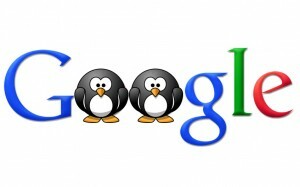 However, Before the Penguin algorithm was rolled out in April 2012, website owners would purchase backlinks to optimize their website and gain higher rankings in Google. Today, you can optimize your website by linking it to other reliable sources and become a trustworthy source of information. The most recent (and in my opinion, the most fascinating) update to Google Algorithms is an update made to change the way Google understands a user’s search. Bill Slawski, Google’s patent writer, explains the Hummingbird update as Google using synonyms to substitute query rules to understand the context of a search, not just the keywords, and provide better results. Since Hummingbird went live in August 2013, website owners have been able to optimize their website by providing content around how a user would phrase a search, rather than using more keywords. Search Engine Optimization is a vital part of driving traffic to your website, and understanding Google Algorithm updates, and other key elements, is essential to SEO success. Contact us today at (303) 703-8000 for more information about website optimization and how we can help your website succeed. Why try to reverse engineer the algorithms? While Matt Cutts official job title is the head of the Webspam team, the reason he is at that position is because he holds the most patents on search technology at the United States Patent and Trademark Office (USPTO). Just do a search on Matt Cutts’ name at the USPTO or use Google’s patent search and you’ll see that Matt holds around 50 patents on search technology. Whenever ANYBODY obtains a U.S. patent, you have to show how it works, in writing, and if it’s mechanical, provide a drawing. Many times, if it’s a computer program, a flowchart is in order. But whatever the case, you have to explain yourself. Google is not one single algorithm, but multiple algorithms built upon others. Bottom line, go read Matt’s patents and it will become crystal clear how Google works and you will see that there are so many variables and the biggest variable when it comes to PPC’s top listing is the next highest bidder. That is a great take on this subject matter Larry, and one I hadn’t considered. Not a problem. Check out “second bid auction” in Wikipedia and that’s how we got to the top of our market in PPC is by knowing the top secret. We simply bought our way to the top without knowing doodly about web design or SEO or very little about SEM before I read Matt’s patents. Now, the big challenge is working on getting our cost per click down. Larry- Great insight! Google is very complicated and it is important to know how to keep your website visible to Google users after algorithm updates. Many of our clients trust us to manage their PPC campaigns because keywords can be expensive sometimes. Offering advice on keyword pricing and managing campaigns is key in helping our clients get a return on their investment in Google Ads. It’s a very nice article,Surely this will help to people of all groups. I Appreciate for your work,Keep move on with new articles providing useful information.